Over the past couple of years I have been blessed to drive/ ride through some of the most bewitching stretches of Southern India. 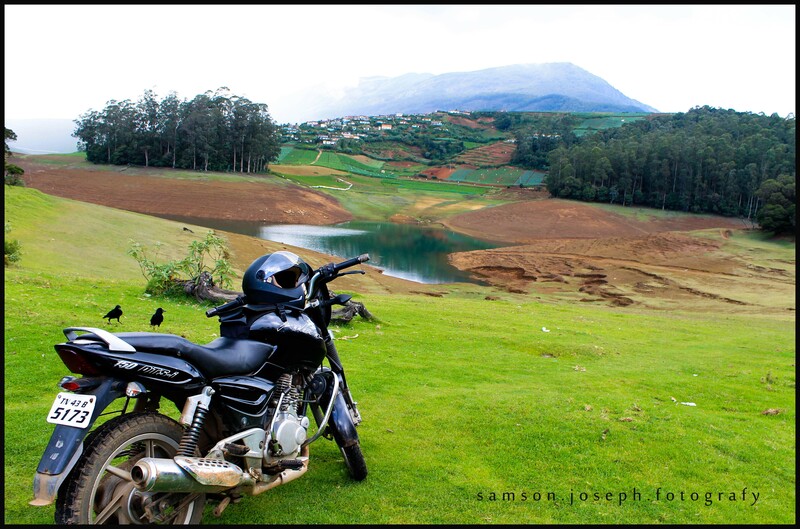 But this one ride of 30+ kms from Ooty to Avalanche Lake certainly is one of the toppers on the list. A ride that filled both my soul and memory card! I was at Ooty yet again after a gap of two years and this time didn’t want to go through the same old routine places once again. But the customary Nilgiris Mountain Rail travel could not have been avoided. After returning from Coonoor to Ooty by 11.30AM I had another half day remaining and decided to make most of it. I had heard of bike rentals gaining popularity off late in Ooty and I found one too. Opposite Hotel Lake View, 100 mtrs on the road between railway station and bus stand, under the railway bridge, was a bike rental counter. Settled a deal and took over a black 180CC Pulsar to the fueling station. My destination – The charming Avalanche. Sometimes a natural disaster causes wipe out of an extraordinary landscape and some other times the same natural disaster can create a new landmark! 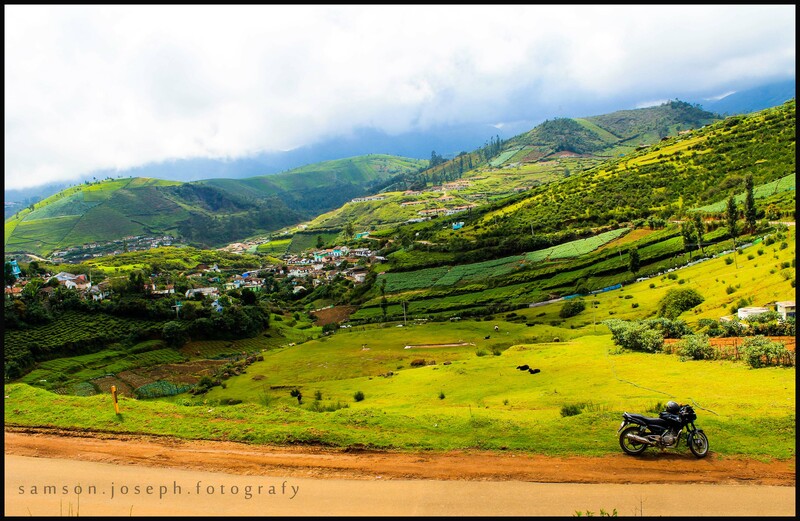 Nobody remembers how this region around the hill station of Ooty looked like before the early 1800s. But the place shot into fame due to the Avalanche that occurred here in 1800s, forming a breathtaking landscape in all senses! Since then, the locals and the British were equally allured with the beauty of this place and went onto cultivate tea on the slopes that eventually led way to form few villages and Avalanche became heart of this beautiful group of villages. The road on the left of the bus stand that goes to Fernhill is the one that leads to the paradise called Avalanche. This also happens to be the start of one of the most scenic stretch roads that I have ever driven. At the start, the roads are made of interlocking blocks with closely covering trees on both sides making it feel like a drive through dense jungles. 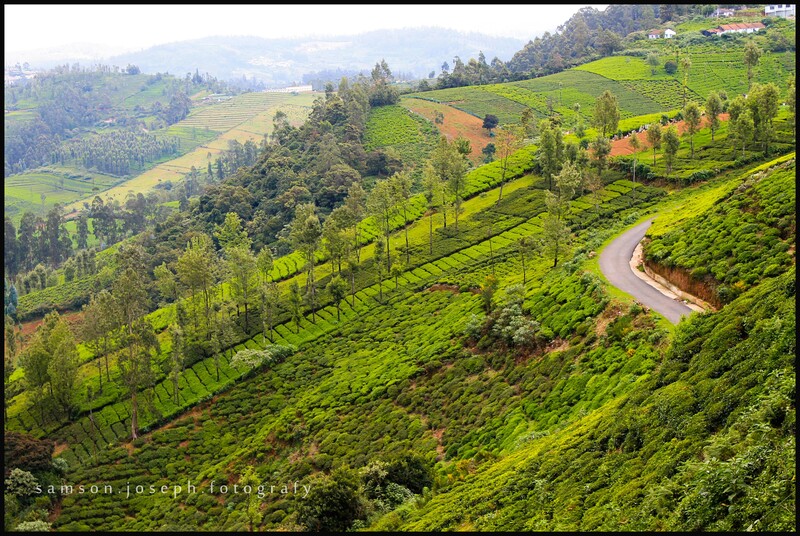 As it progresses, the interlocking blocks make way to the asphalted roads and before too long there is a fitting view for the welcoming, a deep curve alongside the slopes of a tea plantation. A view that would definitely make you ask for the first stop. On one side are the tea plantations on the slopes dotted with yellow buds of the Everlast, a tiny flower that lasts for almost a year even after being plucked out. I had bought these on my last trip to Ooty and they did indeed last for close to a year! As I ride further, the village of Fern hill opens up! A sight that makes jaws drop. Probably this is where the Avalanche occurred. The Slopes now run further down and stops only at about 500 mtrs below forming a valley deep down. To add charm is a lake, Porthimund (? ), on the west corner of the village that has grown in this valley. The flat grounds around the village have turned into green meadows and the cattle graze to their heart’s content on those rolls of grass. The pine trees on the farther end, outside the village makes it a perfect enclosure before the valley ends and rises again to meet the adjacent mountain. An eye candy village in a green valley! Further ahead, a European styled wooden house on the left side of the road is sure to make you apply brakes again. This house supposedly belongs to the local planter and is a treat to eyes with the setting that it is located in, overlooking another valley, the village of Idalar! On the left is a view of the village or group of houses that is spread all across the meadows & rolling lawns that stretches on to the range of mountains on the opposite horizon. 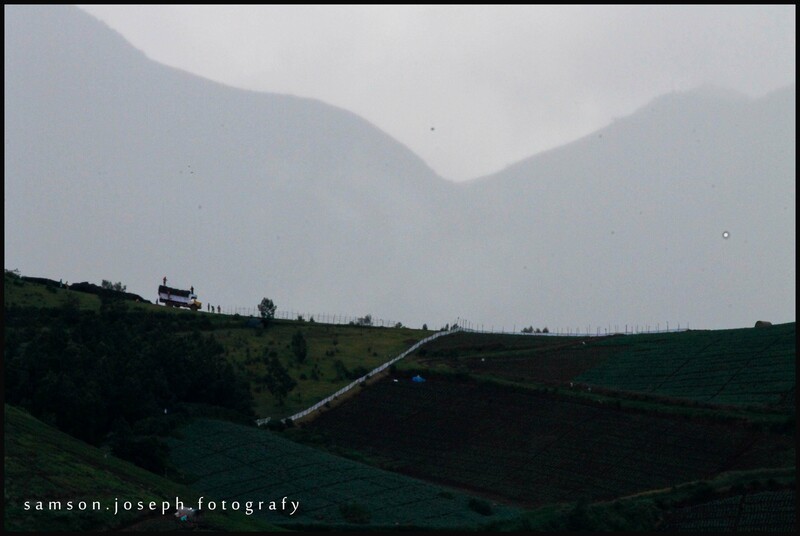 The tea plantations had now moved to the left slope. 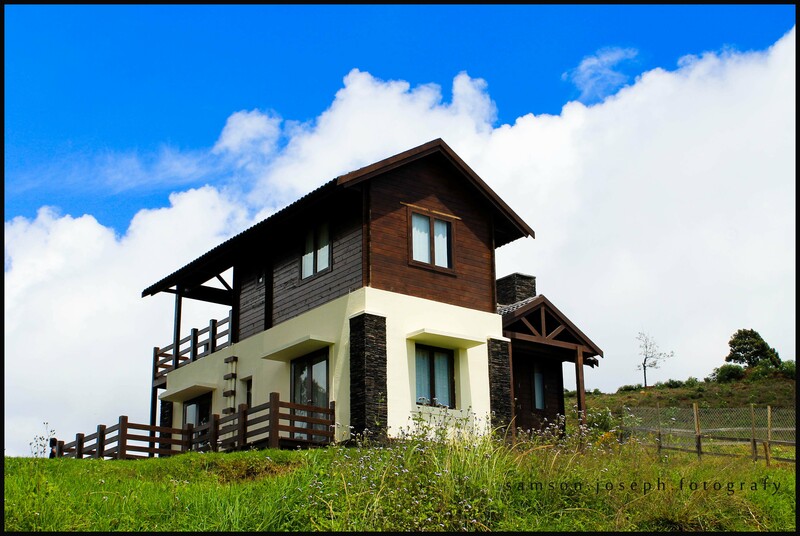 The brownish, wooden house, with a view this beautiful, definitely earned jealous looks. Few village women were carrying firewood on their head and walking towards the houses and the clouds began to gather again. 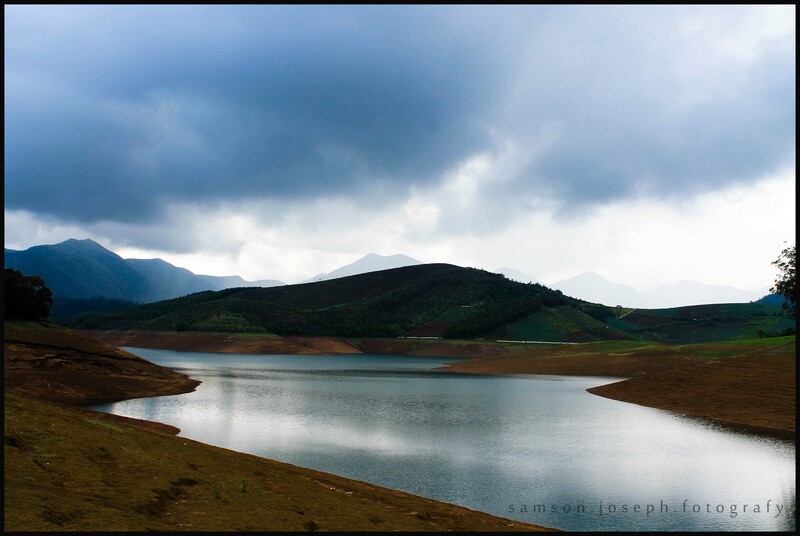 I moved ahead towards the lake in anticipation of making a visit and back to Ooty before it poured down. 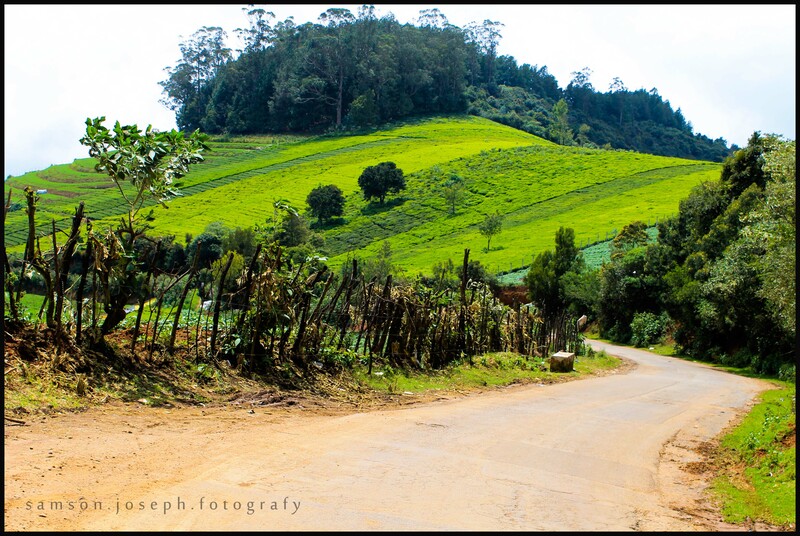 Along the way is one of the two most famous of residential schools in Ooty, the Good Shepherd International. The other most famous school, the Hebron, established around 1899 also lies at the end of the same road towards Avalanche. These schools have produced some of the who’s who of our country over the years. The educational system here is supposed to be of high notch and unique. The main building of Good Shepherd is set amidst a farm and adjacent to many fields that grew vegetables like carrot and cauliflower. They even have a private golf course and horse riding school. The finishing school buildings are away from the main building probably to ensure better concentration to the graduating pupils. I rode further as the roads started unwinding up and down the slopes opening up panoramic views of the small villages dotted on the hills and slopes. At a prime junction, probably Emerald junction, we are asked to take a right deviation to Avalanche Lake. The roads weren’t in a great condition from there on and the rains that had lashed overnight were not helping me in anyway. The roads were slushy at parts and few parts were totally submerged that I rode the bike only guessing there would be a road beneath, all prepared to encounter a ditch! Well, I managed without having to buy a detergent though! The road further goes along a similar stretch, winding up hills and slopes, with vistas that are sure to make you stop and admire in awe every now and then. The landscape is vibrant green in color and stretches into endless horizon. 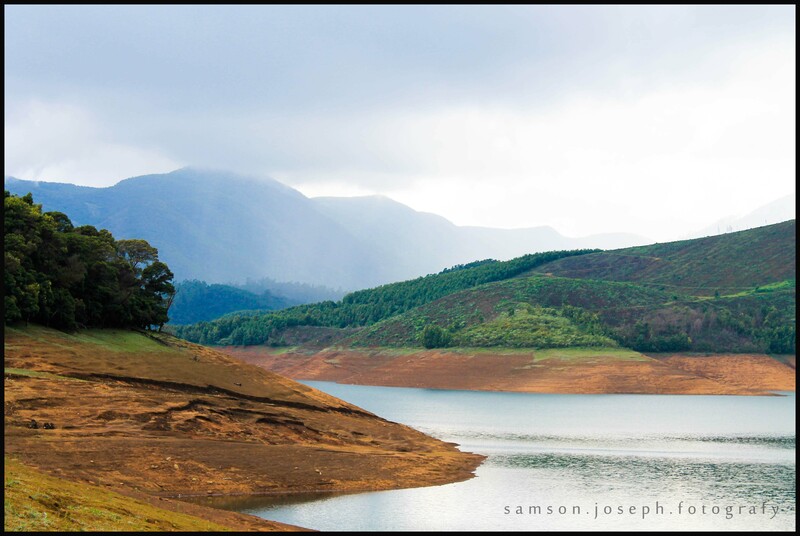 Finally after about 25kms from Ooty, through views that beggar description, I arrive at my destination, The Avalanche Lake. It is not for nothing that a simple lake garners such admiration. The sight of this pristine lake answers all questions, should any arise. Covered with mist capped hills on sides and farms on the slopes of another, with few houses dotted on those hills, a small group of Nilgiri trees on opposite banks and a green meadow stretching on this bank into the blue waters, the lake is bewitching. The picture perfect setting was enriched by an old tree fallen on the banks, all rugged and dried. Adjacent to the lake was the bridge that divided the lakes of Emerald and Avalanche. Both are, may be, basically one lake that retrieves down during the dry season. If the monsoons are good then I am sure the water from both lakes spill over into each other making it a huge water body. Time flew by sulking into the crisp air and flamboyant view. Far away in the village on top of the hill, there was a truck being loaded with some goods. Probably it was the truck from one of the chocolate factories around these hills. Homemade chocolates are quiet famous in this part of the country and most of Ooty’s high selling chocolates are produced at these little factories around Avalanche. The clouds got darker and in no time it started drizzling. I ran into the house adjacent to the lake for cover. 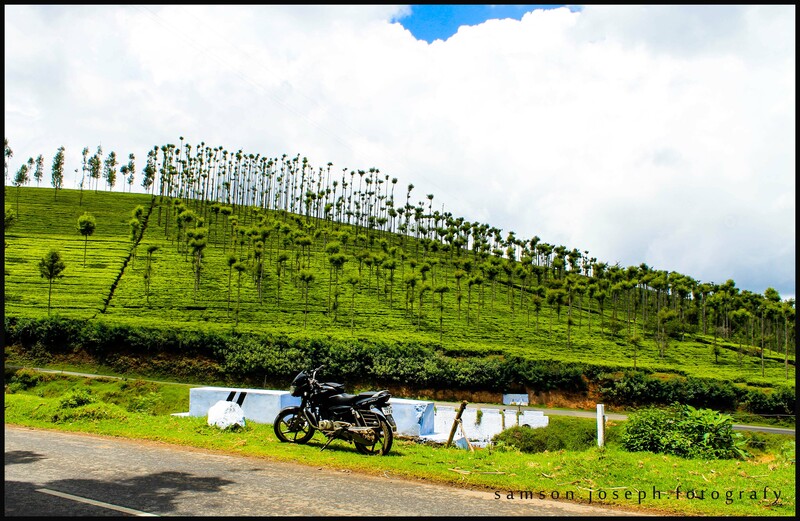 Waited for couple of minutes for the rain to subside and start my ride back to the town of Ooty, once again through that extravagant stretch of roads adorned with tea plantations. The ride to Avalanche will remain in memories forever! Nature is always much more beautiful when its greener, isnt it? 🙂 Riding a motorbike through such an amazing landscape amidst rain is always an adventure! 🙂 Thank you! No rotten eggs for you! Roses and lilies instead. So nice of you, Vera Ersilia 🙂 Thank you so very muchh! Bon Voyage! Hope you had a nice time, Trip On!